A mansion in an autumn setting. Welcome to my first alpha: Jamrock! 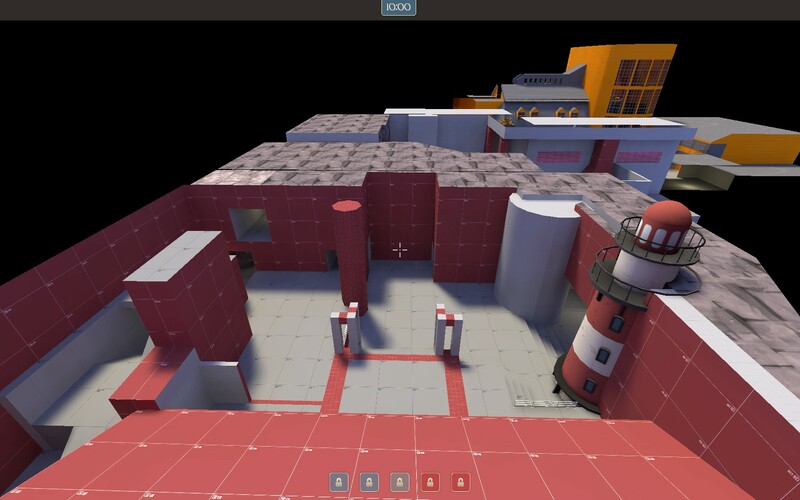 I decided to make it a koth. 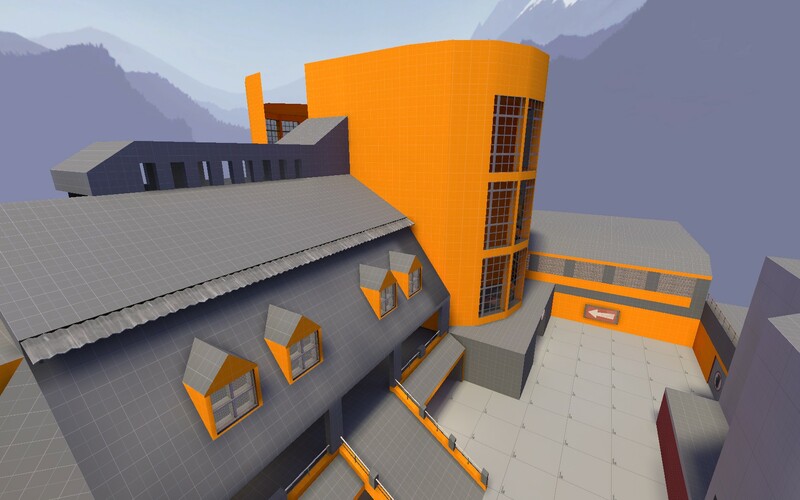 The main building is inspired by my old school. It features three stages and a piano! This is a hint of what this shall end up. The alternative titles are "duke" or "property". 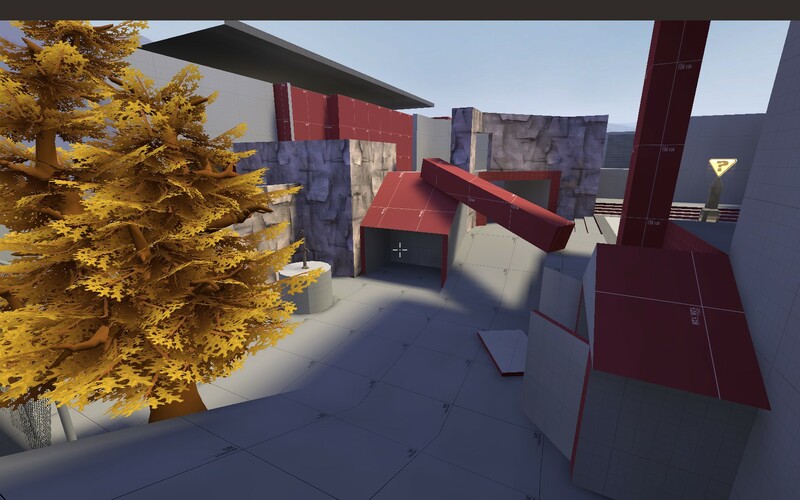 I want this to be a mansion in a autumn setting, which blu and red called out as their new base. The a1 is still up till I made the neccessary changes, which became obvious after the first test. Note: The first Countdown doesn't get announced and I haven't found a solution for this yet. Only this. 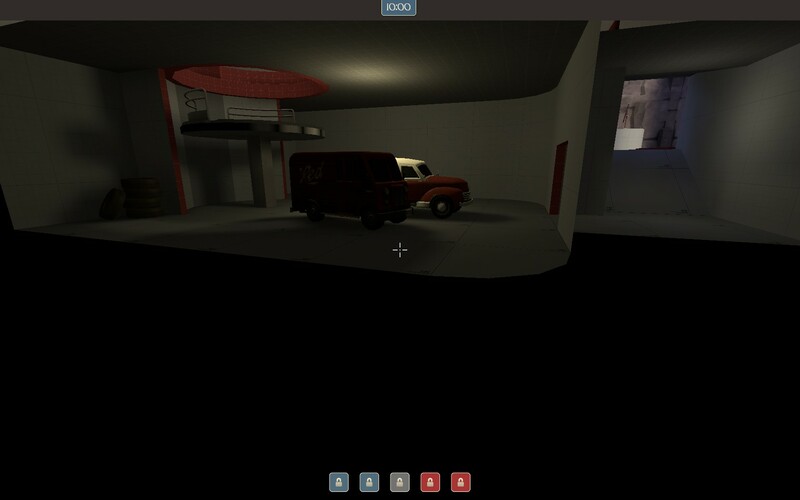 Also there are some pretty nasty texture-spots and some minor bugs. Well this looks actually pretty neat. I hope I get to play this soon. Good to see you finally releasing something! 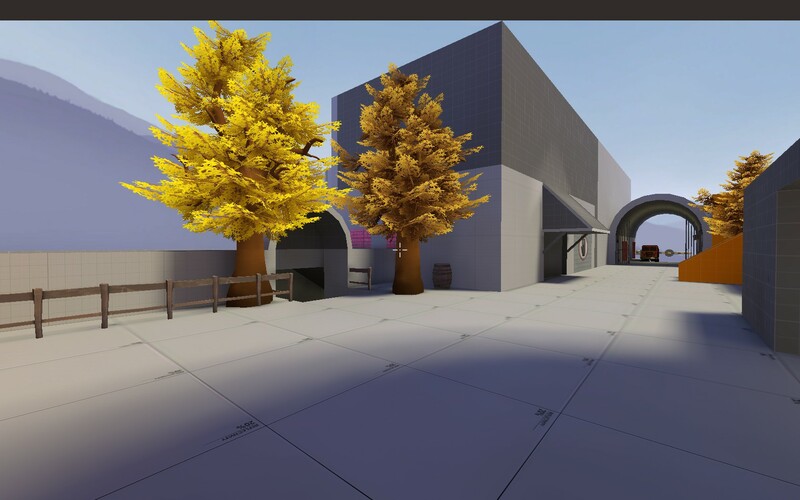 Those trees seem to be floating, and the bounds of the map would be better if they weren't constrained to a box shape. Ok, I downloaded this and had a run around. Thx for taking the time having a look on it, but please also have one on my intro lines again. 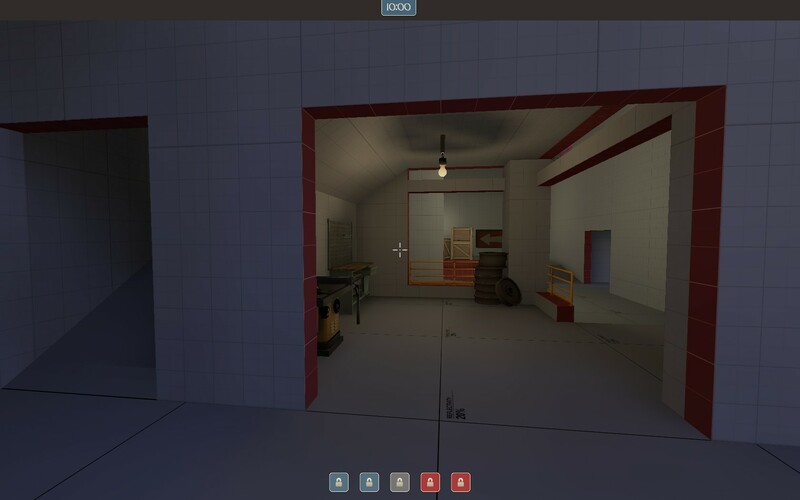 I know about what I want to do with every spot on the map. 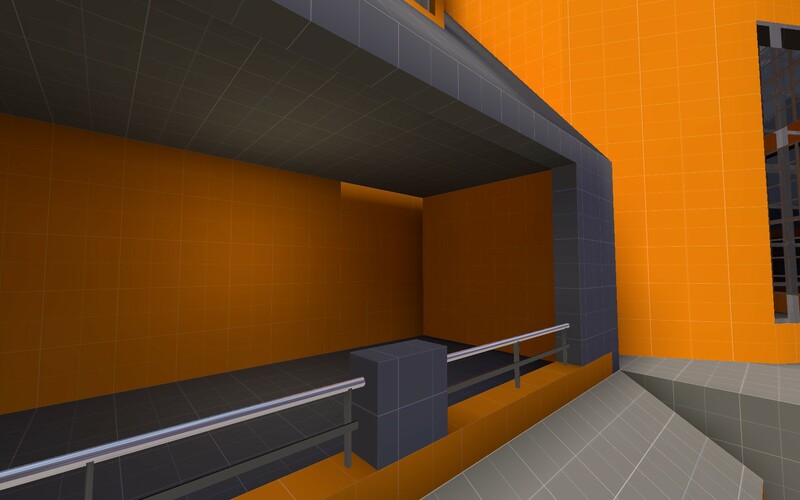 You have to see that most objects are just placeholders. 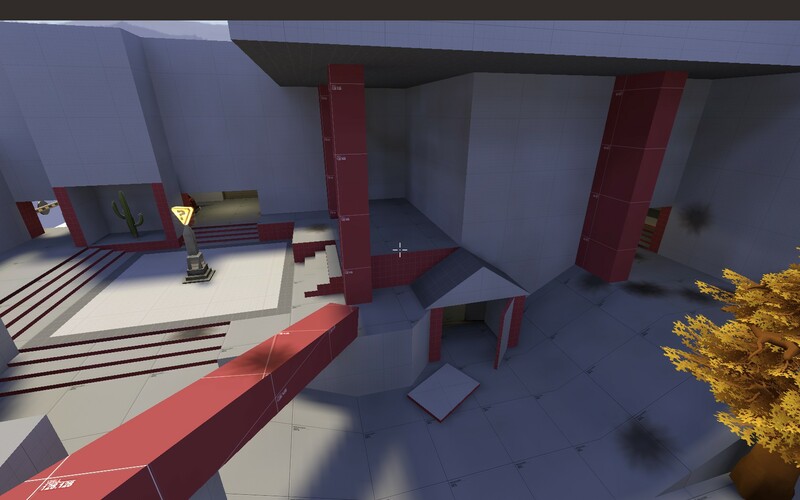 The layout itself in terms of gameplay is important before I will move on and shape it. It doesn't really matter to me if the trees are floating, the bus seems to have no purpose or if the corridor looks boring. 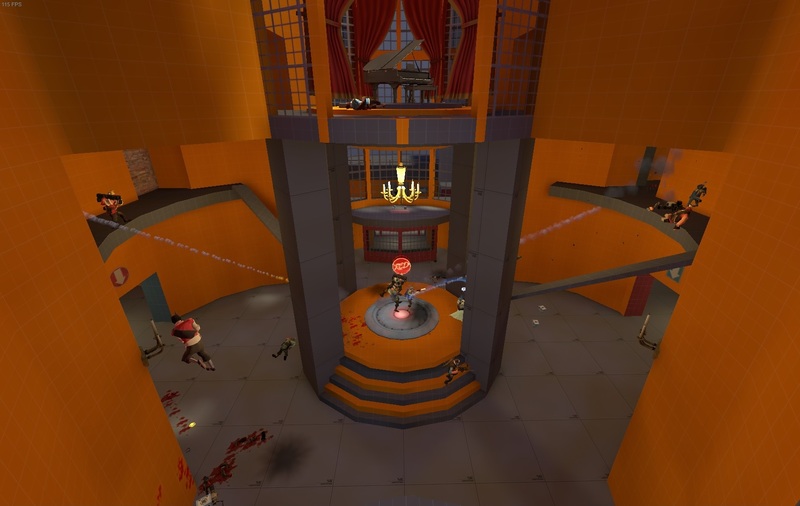 sniper-sightline and i want a second path to the point where now a corridor is. I thought that's how an a1 works.. But believe me, if I could I would have started with all the spytech I got in mind. I will adjust the signs, this might be helpful. Though I wouldn't have expected confusion with only two main routes to the point. But maybe I got a bit blind for that. Spec-Cams I just forgot - will add! 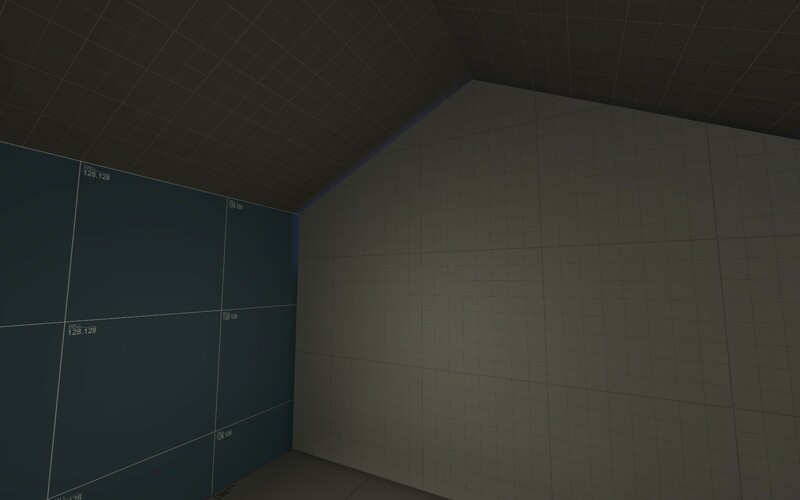 I wonder why the cubemaps don't work. Mudpie and TurboLover volunteered to check if anything is broken before I submitted the file. 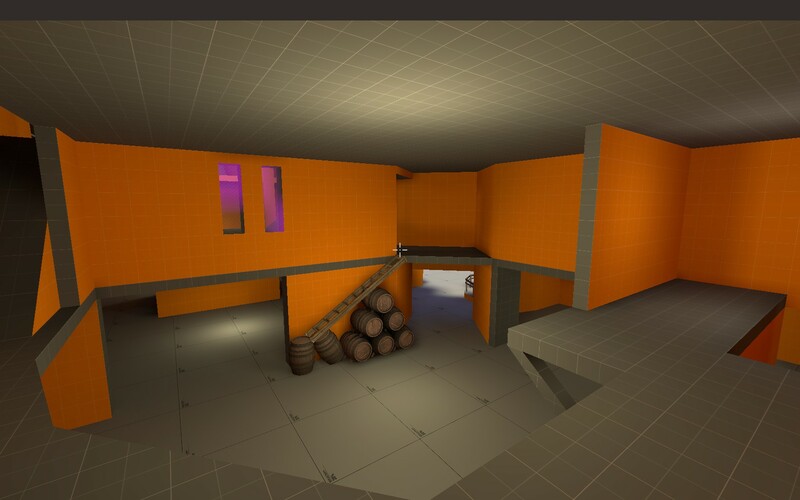 Cubemaps worked for them too. But now actually not for me either anymore. I'll try it again and update the successor. Nice to see the first reactions looking forward playing this too - I haven't even with bots. You should submit this to a gameday if you haven't already. I can't wait to test it out. You should submit this to a gameday if you haven't already. 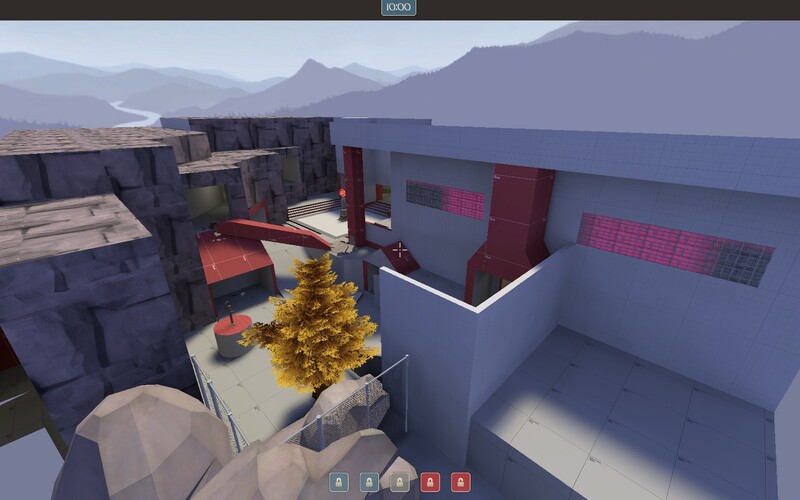 The first test showed that the map is too big for the gamemode, too confusing in terms of paths/signs and generally too wide. Maybe I'll make it to be more playable before the deadline (is there one? ), but otherwise it will just turn out the same, so I would not submit it this time. We'll see..
First of all, there is no deadline. You have all the time in the world to work on Jamrock. 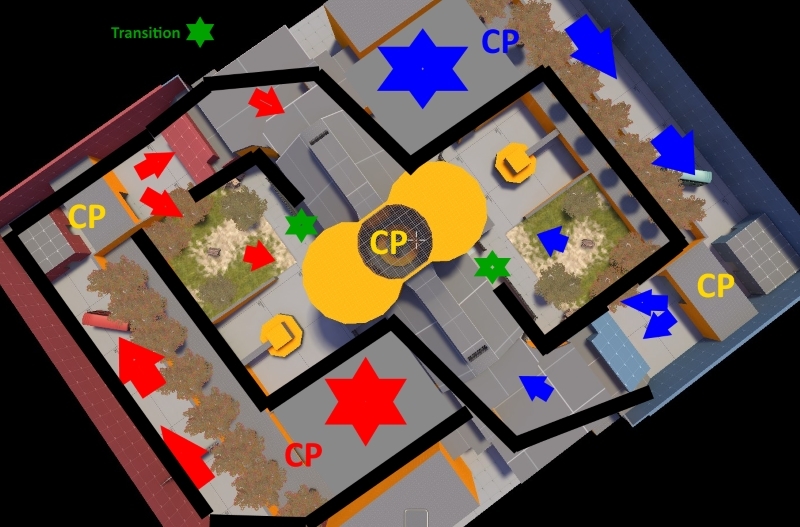 Secondly, if your map is too big for KOTH, try 3CP, like Powerhouse. 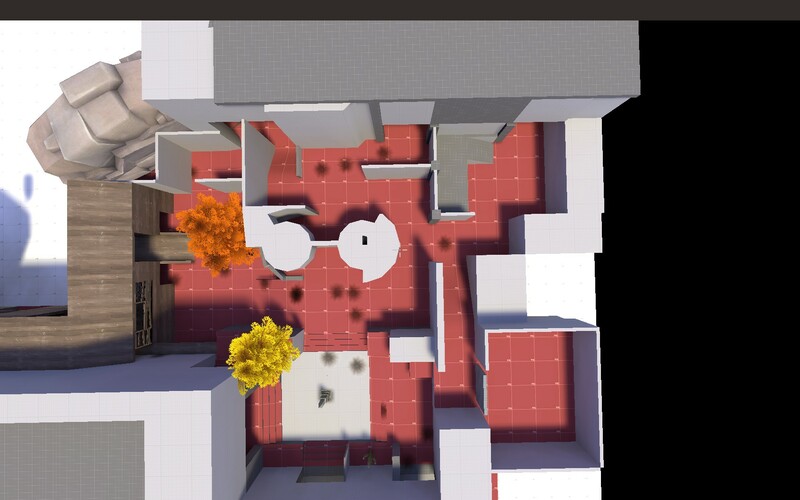 Thirdly, all you need to do to improve the map is move some things around, and add a few arrows here or there. Hey, thanks for the cheer up! Take this for good vibrations. No worries though: After I got out of the fetal position I started working on it again. It will take some time though. And for the deadline I meant today's gameday - don't think I will make it. Because by moving things around, routes that did work for themselves won't work anymore imo. 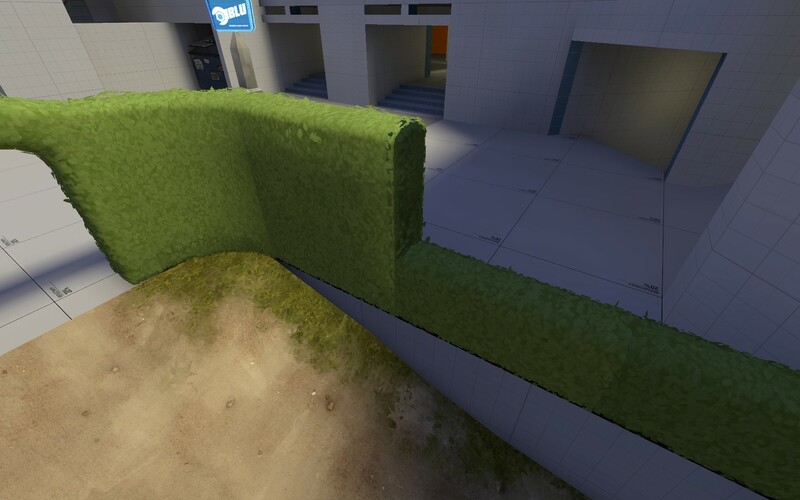 by making this one koth make no sense? 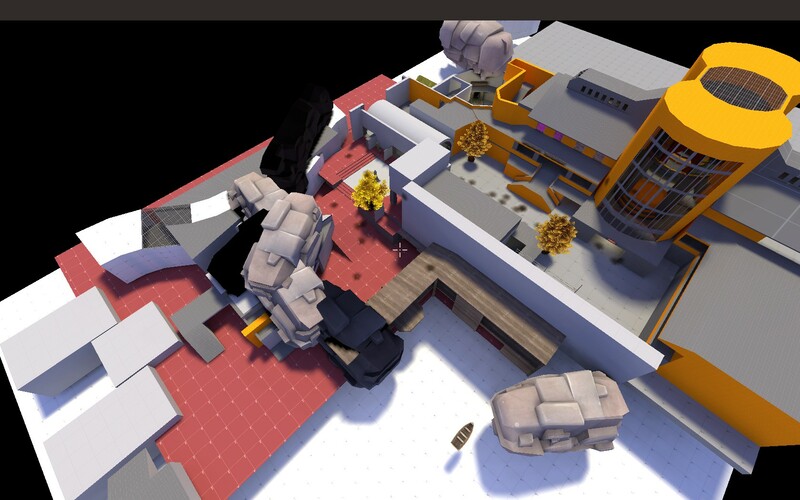 I think the major problem with this map is its complicated nature and its game mode switch. There is a trend with new designers thinking maps are modular and you can just straight up switch modes out for other ones at the first sign of resistance. 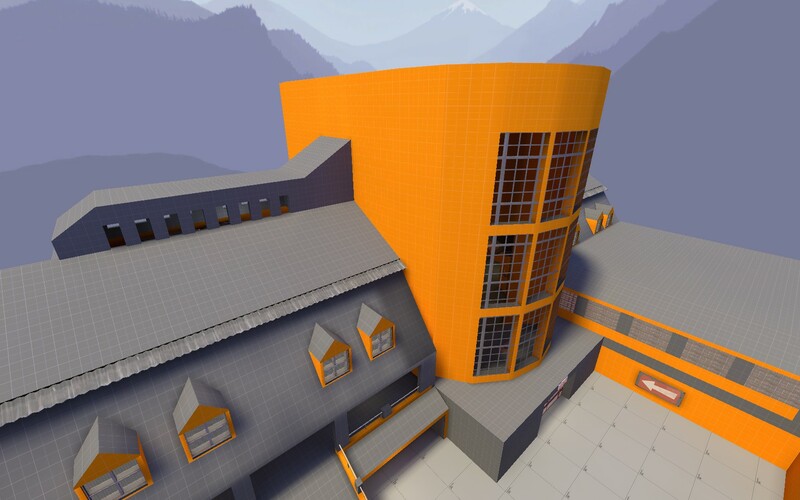 For instance, without significant changes Powerhouse would make a terrible koth or 5cp map, it's not designed for the mode. 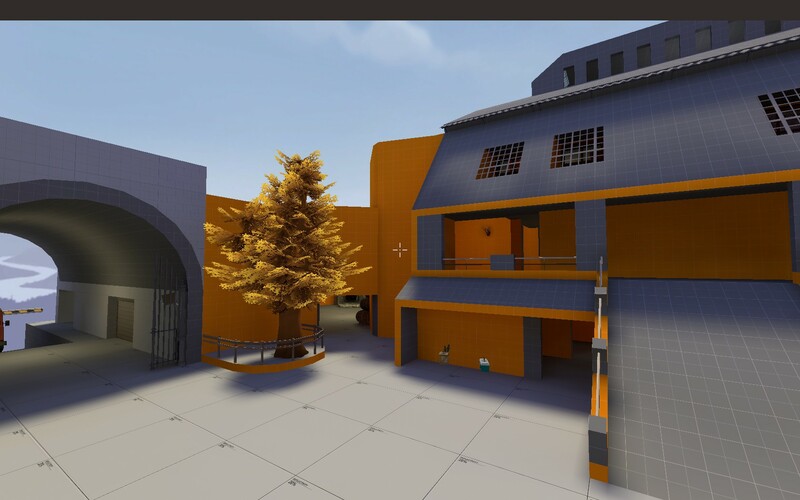 Same story with Viaduct, just slapping a point in the spawn courtyard would be absolutely terrible. Even pretty good transitions like Badlands, Coldfront and Waste all have certain problems like flow, spawns, sight lines or choke points. 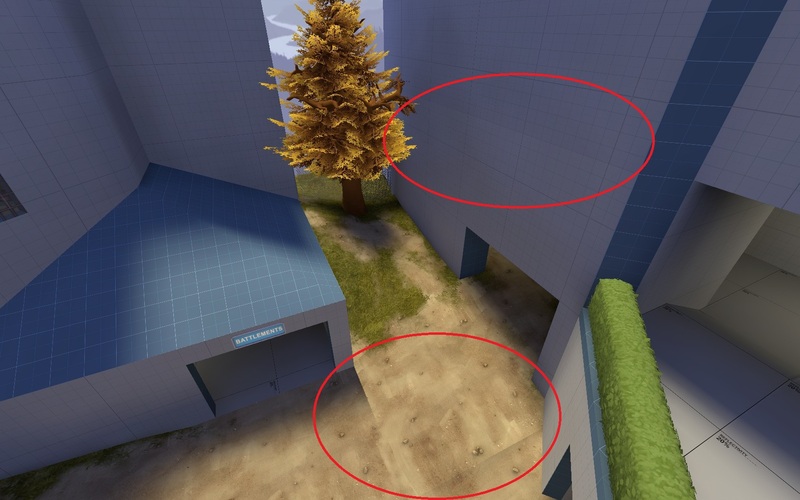 To get it right you need to redesign the map from the ground up to work in the new mode. 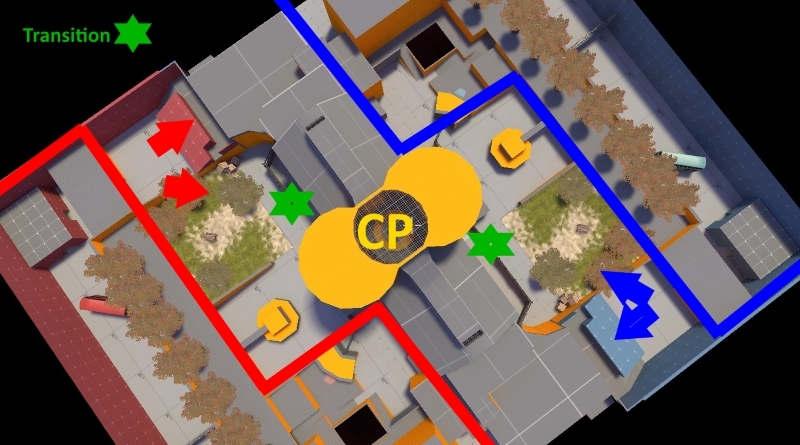 If Process where to become Koth, there would have to be significant changes to choke and sewer to make the flow better for koth. 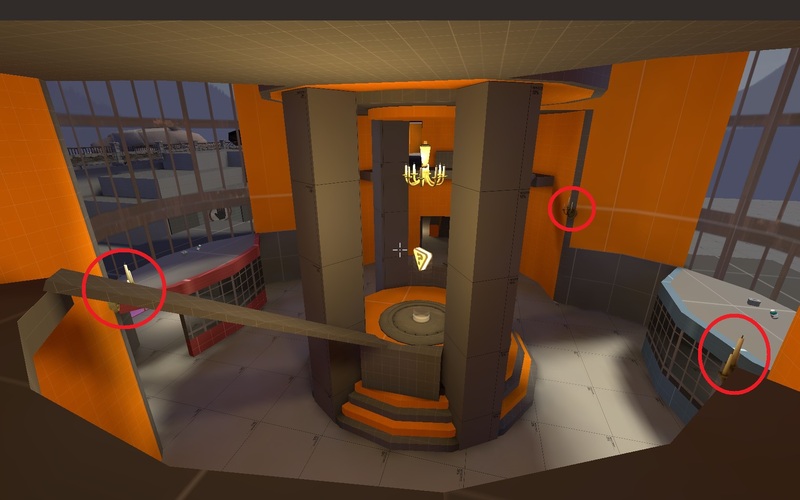 On the point of complicated map design. Try to remember the wise words of the scholar UEAKCrash "players are dogs, and won't look up.". 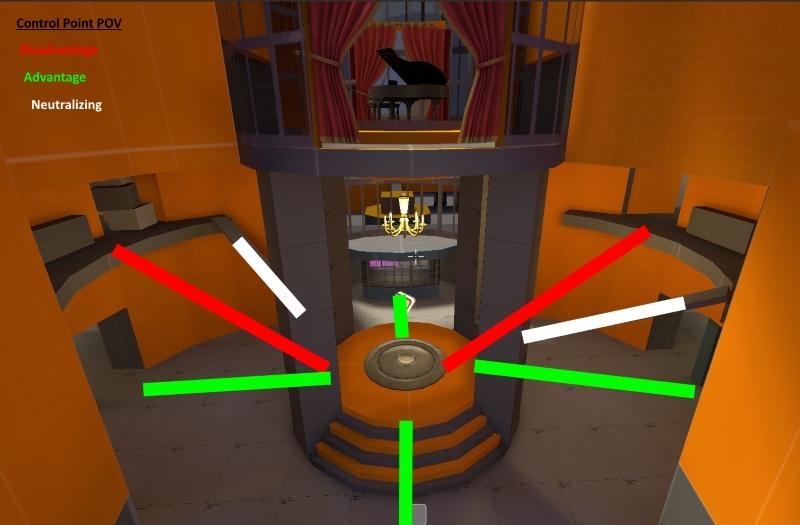 Design your levels with a certain perceived flow to them, where someone who just started playing will automatically take the path to middle / the battlefront. Giving players a million and one options will just annoy them and make the completely switch off their brains. I know it's happened to me a few times. 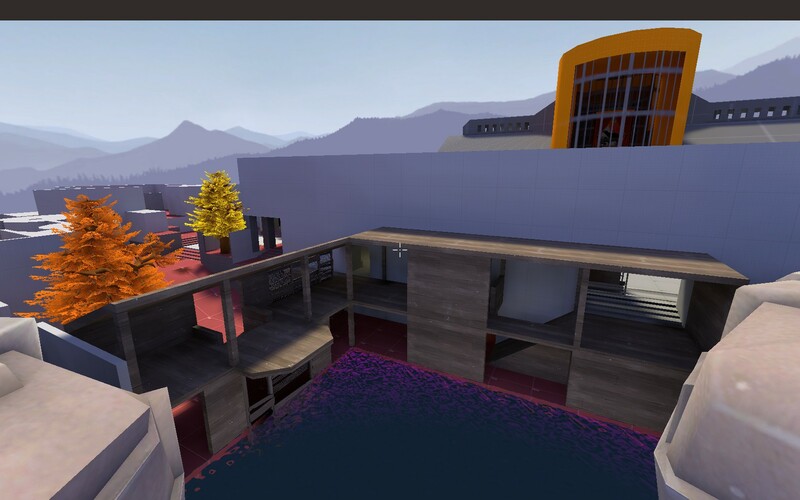 For examples of good koth maps that flow I would check out koth_viaduct, koth_harvest and koth_overflow. What I'm trying to say is, stick to one mode and try to keep it simple. You'll thank me later. 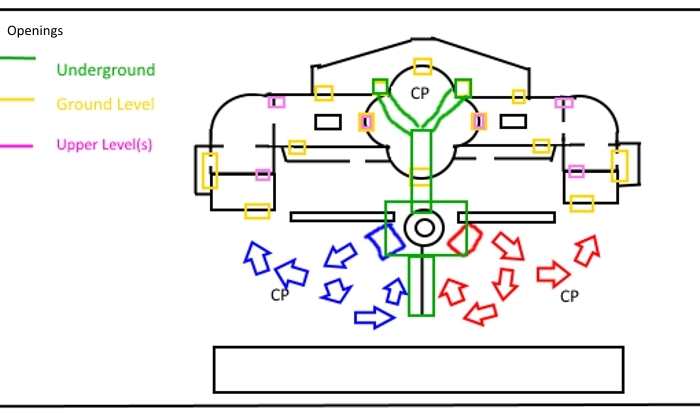 There is a trend with new designers thinking maps are modular and you can just straight up switch modes out for other ones at the first sign of resistance. You just denied yourself an instant thanks. 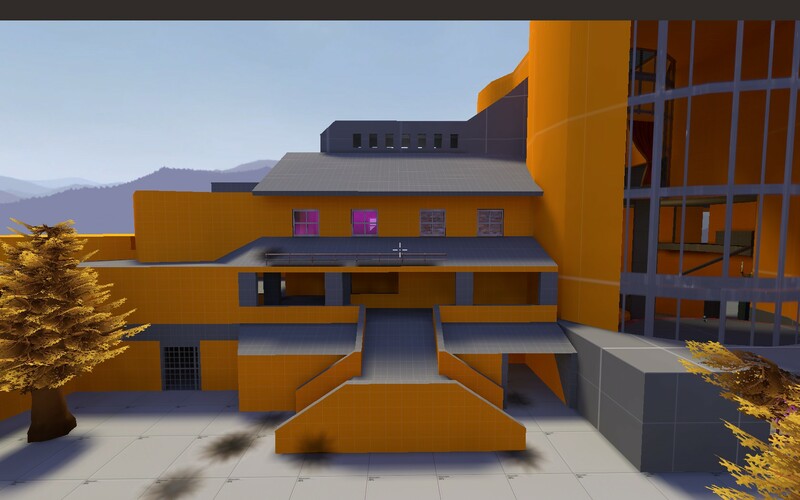 In defense of new mappers, as I am, some may start with an design idea and then choose the gamemode that could fit. There are plenty and add the custom ones to it, one can get confused by the multiple options and feel like in front of a bargain box. This actually isn't the case here. My favourite game-mode always was cp. Imo it offers the best chances of a dramaturgy. It can possibly go on forever. This mustn't be a good thing, sure. An everlasting stalemate is the worst case scenario. 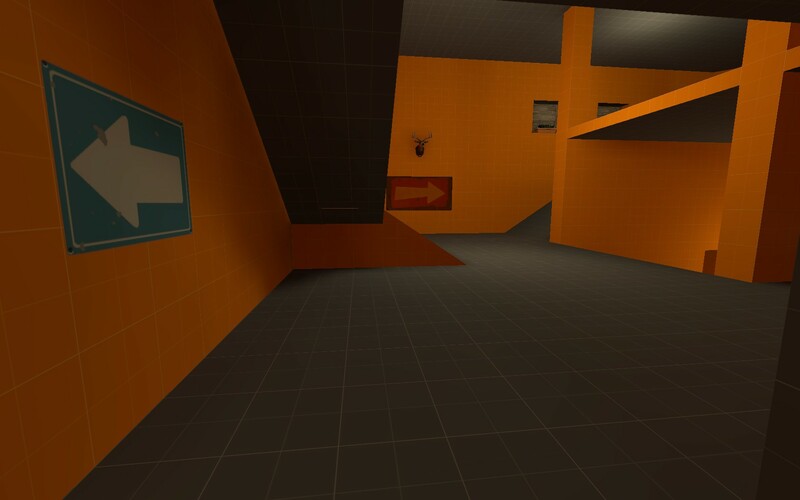 But otherwise you can enjoy your chosen map with a back and forth for a longer time than some other gamemodes offer. Like I said before, I'm not quiet sure if my strategy of using KotH to test one control point by itself works out. But this is my idea here. Not switching it over and over. Just moving things around a bit can't work either. have to be a bit longer than the main path and visa-versa. 5Gorge's left path from cp2 to cp3 is the main example that comes to my mind. The paths that worked before for themselves imo, won't work anymore after the required changes I have to make. 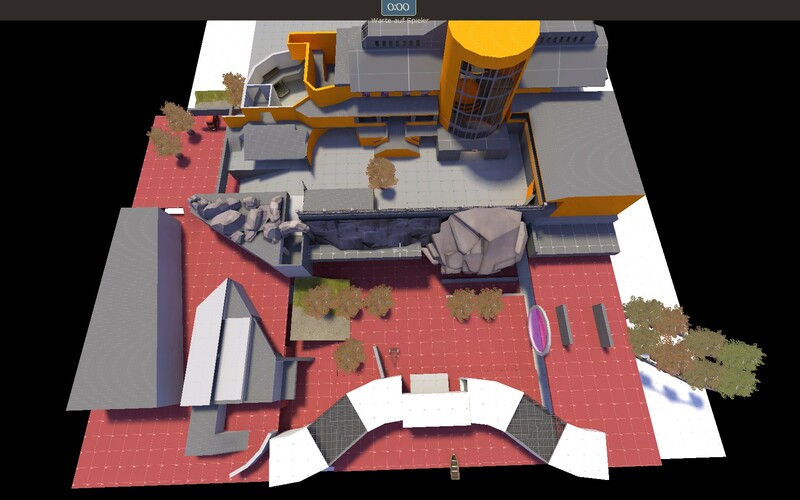 Let me show the progress the map has made since the inital idea. 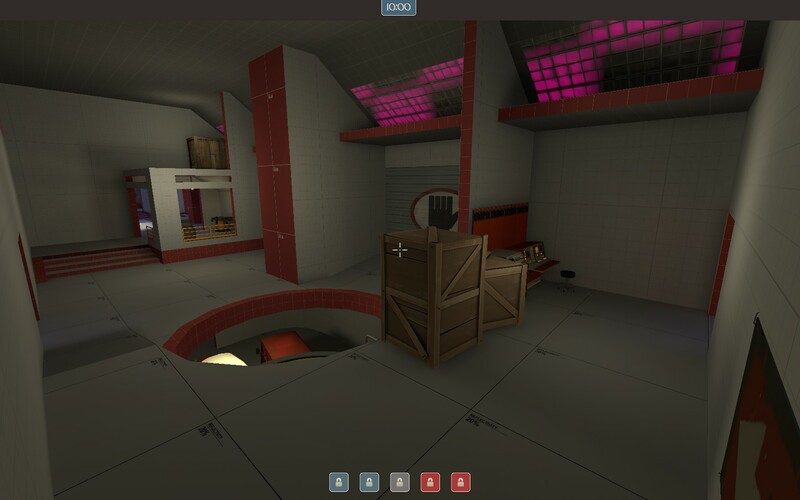 The spawnrooms were underground. The well in the middle of the map would have been quiet big. 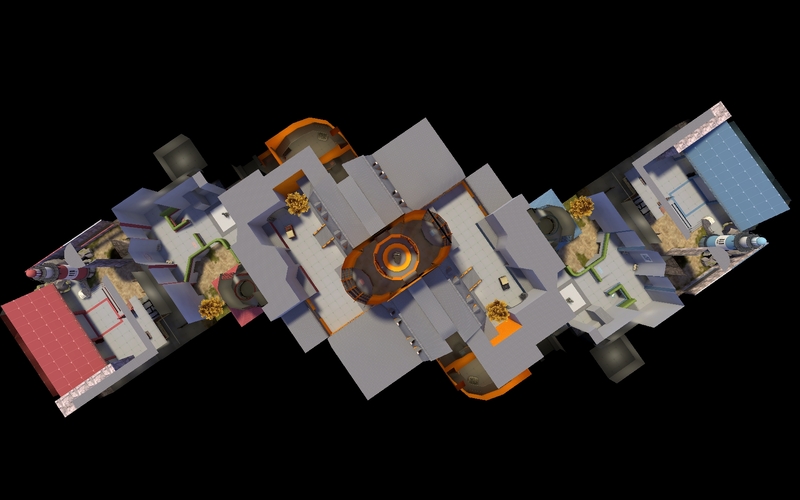 It would stick out on the ground level with a roof on top, as well as going two stages beneath it. This height would form a big hall around it in the mid-cp direction and lead behind it. 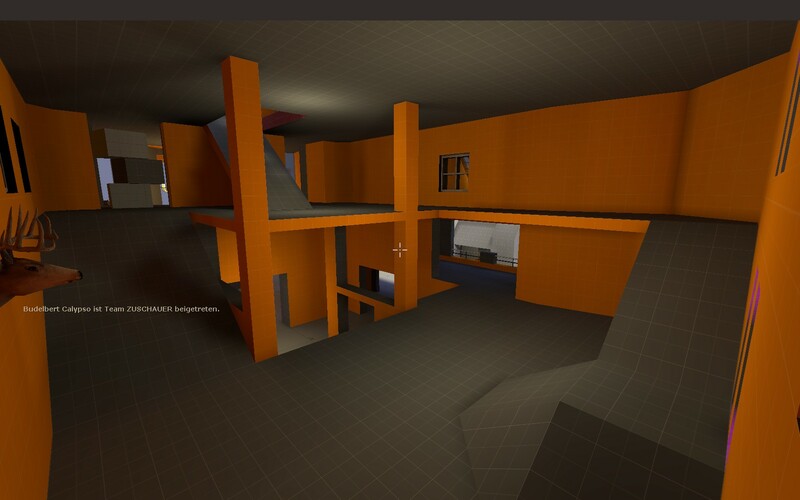 The next problem was the layout being asymmetric. Also teams would split up initially. Gladly I never started this way and we should never talk about it again. The main problem besides the signs and it being too complicated, was the wideness of the map. 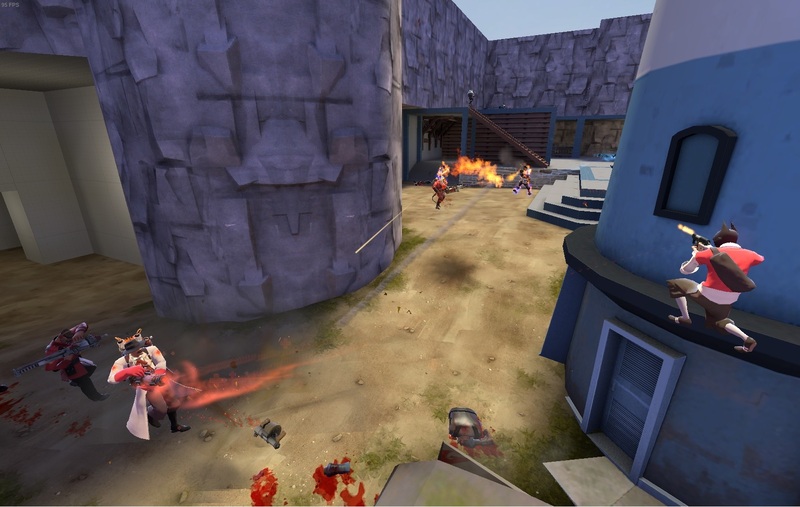 The test made obvious that players are more likely to run around the point than towards it. Cutting off this whole side in front of the building is mandatory. No underground anymore. Also I work on a transition between the inner and outer routes on ground and upper ground level. 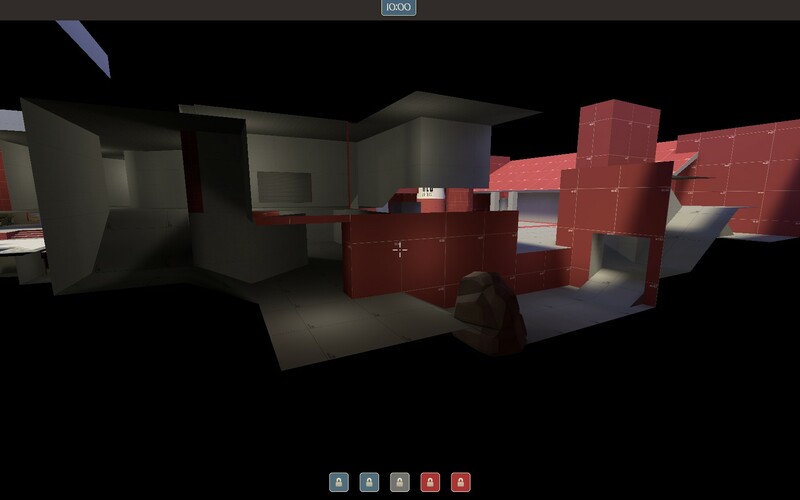 Still: This is the KotH test version for the mid-cp. Don't take the outer borders too seriously on this pic. Of course the initial routes would need to be wider and more interesting in the end. 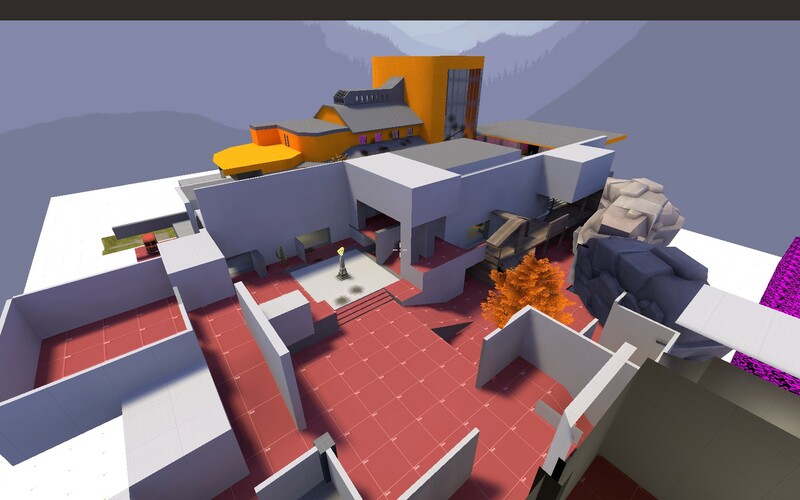 that I like about the map. This is roughly how it shall end up. What I didn't change is the main building and its hall. The first feedback included the point itself being too small and a bit too high. 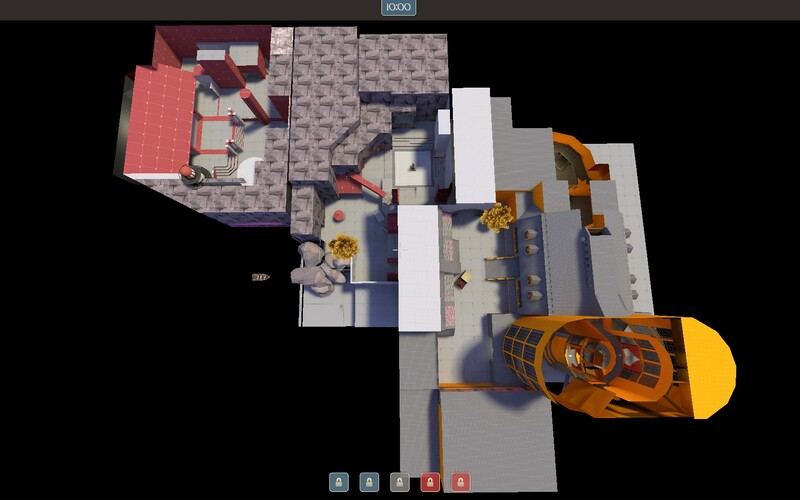 Also it was stated that you will get spammed from above. I want it to be a bit small, so that players only go there for capping. towards two of three main-paths to enemy's direction. way to get there and deserves an advantage for it.. This is what I go by for now. Let me know what you think. After more than one year on/off working on this, this is the first version I consider to be probably playable. You would start on the right of this pic at the big circle, move slightly upwards to the second cp on the left,make a 180° turn full upwards and find the mid point in the center of the big building. 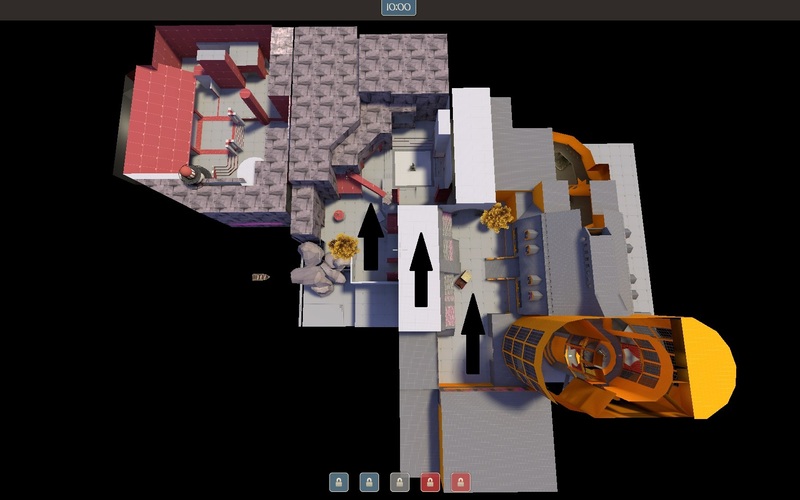 As this is no payload, the 180° upwards turn was too hard to balance for me or just objectively wrong. While starting to realize this, it were the too long walking distances that made me ultimately scrap this layout all together. The major flaw of this one was the right flank pushing to mid. - as part of the water had to be playble space, it increased the possible positions players could be. ..and only a part of the route through the garage instead of adding one by itself..
instead of offering one that's 90° wide. 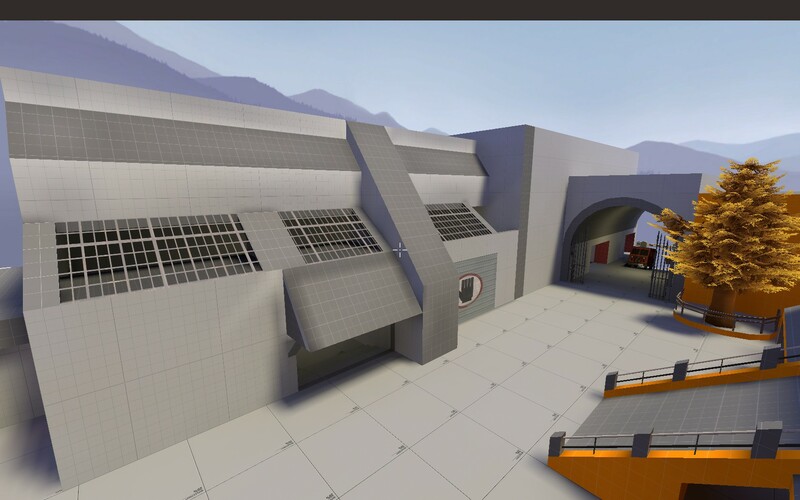 There also wanted to be a lobby in front of the last cp..
And though I liked the design of the building in general, the windows gave me huge troubles for optimization. I did like some elements of each version. 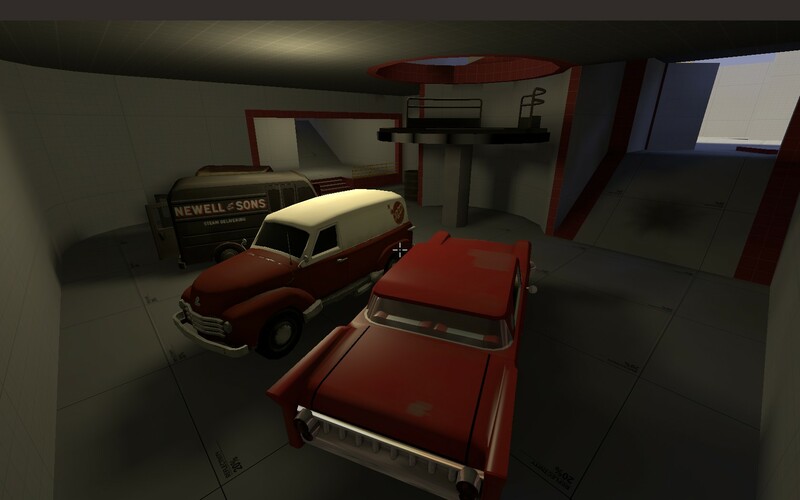 Some made it into future and even the latest version in different shapes. The main building kept it general shape, but was redone completely at start to fit the common hammer units. 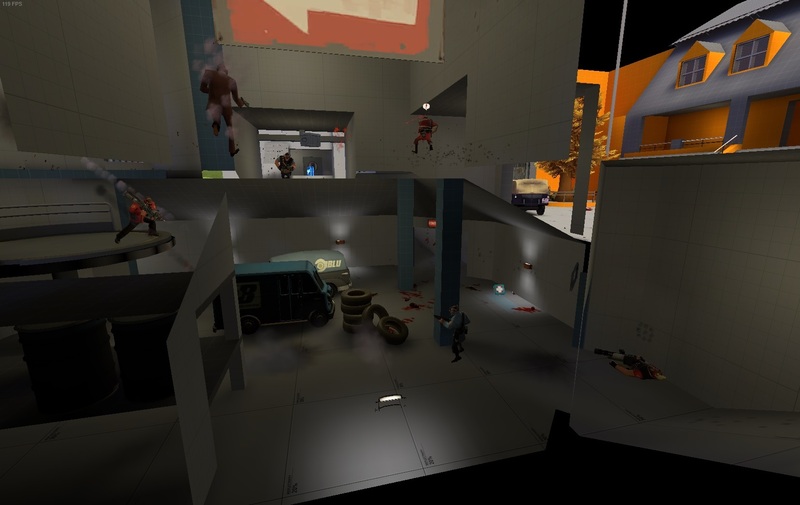 Here it was more of a concern of where to access the building to find a balance between confusing with too many entries/exits and too many walls splitting up teams by blocked visibility. 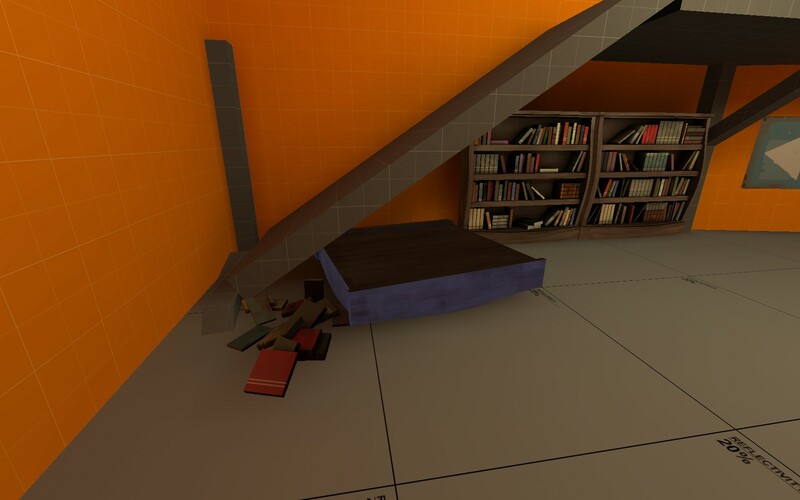 These small candleholders provide access to them from the ledge as well as to the pickups placed there which also neutralize the fall damage from the piano platform. and of course gameplay provides. I often felt like I had to make too many compromises to the things I had in mind. 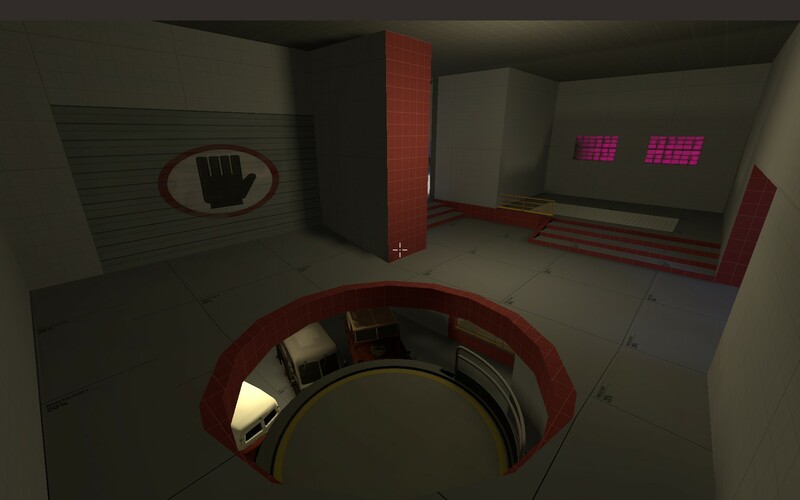 I hope this map will be mediocre enough to be decently playble at some point. As my solutions created a map that even if the general layout might work, would still have doubtalbe areas to call fun. The lighting just achieves not being too dark anywhere but is apart from that pretty awful. But this is a very first alpha, so lets call these failures easter eggs. Mainly because I need a break from hammer. I know I shouldn't have detailed this much already, I should have tested earlier versions. And this may all be right. But it's too late, so here we go. 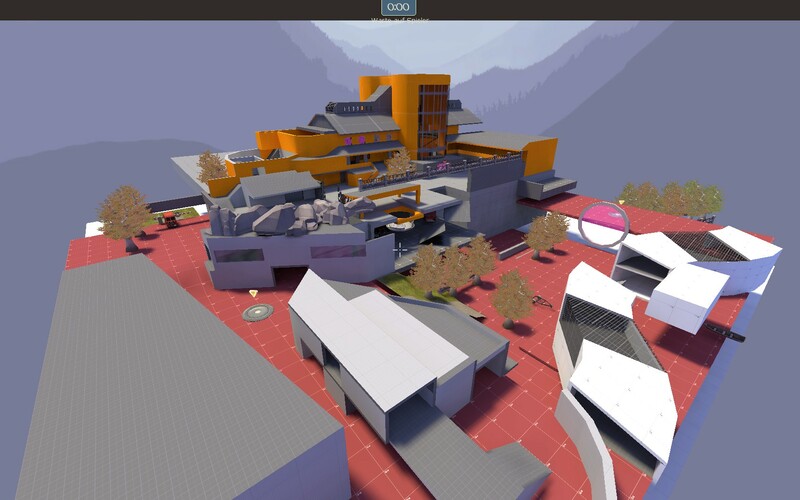 You can find more recent screenshots in the overview tab. Ah. 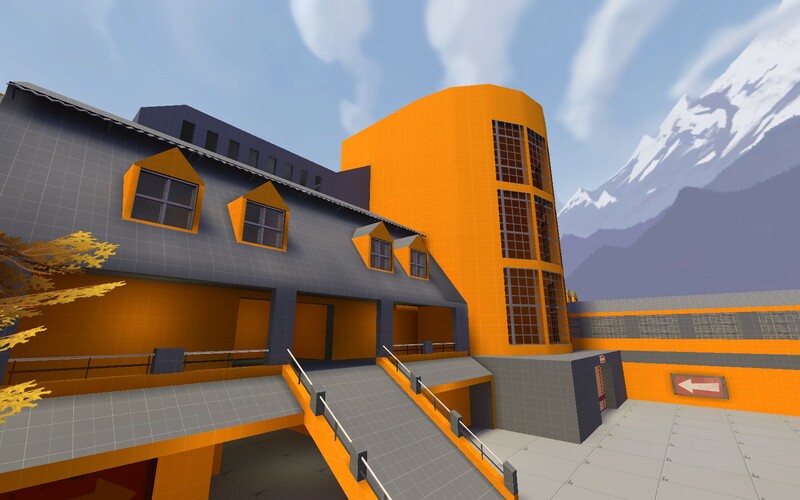 I remember downloading this map since you first joined. Hope you can release A2 soon. Oh, I guess you just joined later than me then. 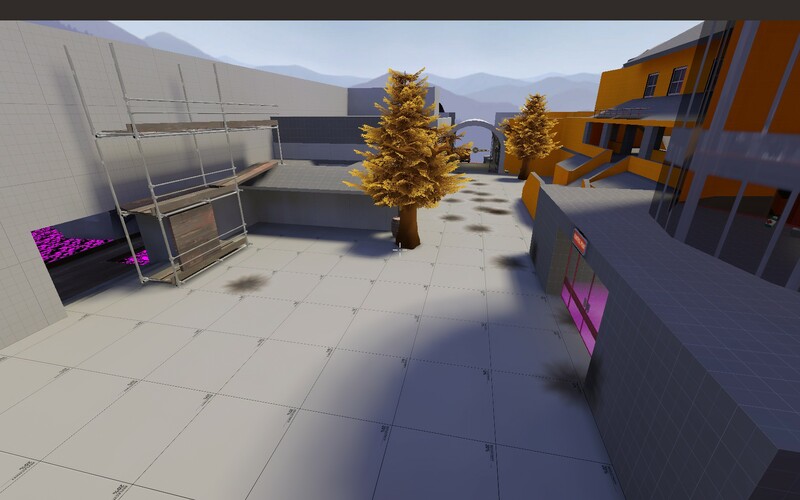 Well I just finished this first Alpha after a lot of work within the last year. So an A2 will take some time again. It had its first test yesterday which revealed some general layout issues. But it was very nice to see the map finally filled with life.. and deaths after all this time of theory. Thanks to everyone who participated, gave feedback and their patience ! I was glad to have a full server with more or less balanced teams. one of my worries became true, that being that it's still too confusing and big, mainly between second and mid. the left flank was barely used, so this one may get cut out or redesigned. the mid point actually is hard to orientate so I will see if that can be solved by design or if it has to be by layout. There's nothing that can be quick-fixed at the moment. It will take time to redesign the layout. So to have more data I will approach a second test and see how long it takes before it gets rtv'd. Reupload to the Site, replacing the download via external site.